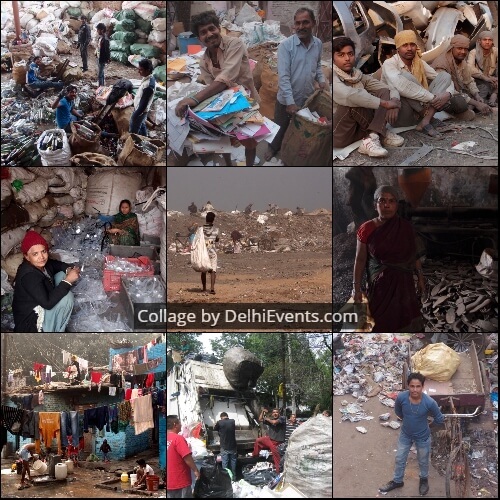 Event Description : EXHIBITION "The City of Waste - A Bonjour India initiative" a group photography show. Conceptualised and organised by Rémi de Bercegol and Christine Ithurbide, the exhibition aims to understand the role of waste workers in societies across the world. Contrary to the common representation of waste workers often shown in deleterious working and living conditions, this exhibition aims to portray the world of “the city of waste” in a different light, wherein waste workers are freed from the stigma attached to waste. From Paris to Cairo and Mexico to Delhi, photographs document the conditions waste workers live and work in: open landfills, waste containers and public spaces from where they collect waste, as well as garbage dumps, warehouse, factories, markets and recycling workshops, where waste is reclassified and transformed into a profitable resource. They show the clothes that protect their bodies - rags, strips of cloth, or even plastic bags - but also the gloves and uniforms worn by those whose work is better recognized. The techniques and tools they use – baskets, hooks, chariots, carts, etc., the materials they extract and transform – plastic, cardboard, metal, glass, fabric, etc. also reveal the diversity of the practices and the ingenuity the recyclers bring to their work. Women and men are presented as normal workers, busy doing their jobs; workers who want to be recognized for their work and considered equal to others in their society. All over the world, waste workers increasingly demand social rights, as well as a rightful recognition of their contribution to recycling, waste management, and more globally, to the environment. The pose they adopt, quite naturally or on the photographer’s request, and their smiles and gazes directed at the camera, show their desire to depict a normal portrait of themselves and their activity. This staging/posing contributes to a recognition and a reclassification of their profession, and hence of their image. These photographs were first displayed in Paris (France) as part of the exhibition “La mise en image du rebut” that later travelled to numerous cities. The City of Waste is an adaptation of this exhibition presented for the first time in India in Delhi.